Barcelona continue to add players to their academy. 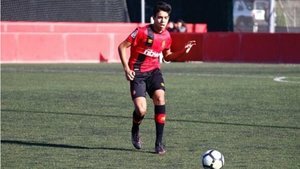 One of the new players ic Chadi Riad, a Moroccan centre-back who will joing from Mallorca and play for Franc Artiga's Juvenil B team. Barça have moved quick to sign the left-footed defender. Marca, one month ago, revealed that the Catalans were fighting with Villarreal for his signature. SPORT have learned that Barça have won the battle and have an agreement with the player. Chadi Riad has shone at Mallorca thanks to his ability on the ball and his presence at set plays. Recently, he was a key part of the Morocco U15 side which won the Youth African Games. Mallorca now know that Riad will move to Barcelona. They are annoyed with the Blaugrana, too, for how they ahve gone about the signing. Juvenil B will be one of Barça's most changed teams this summer.